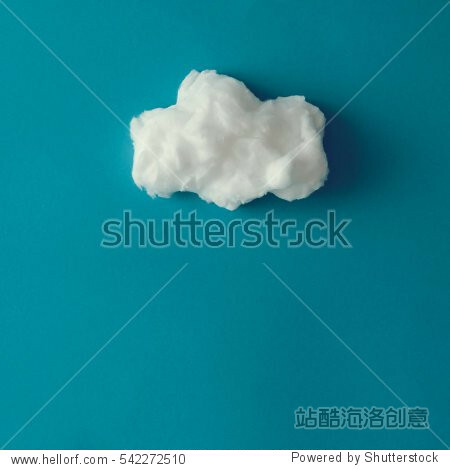 Cloud made out of cotton wool on blue background. Flat lay. Weather concept.